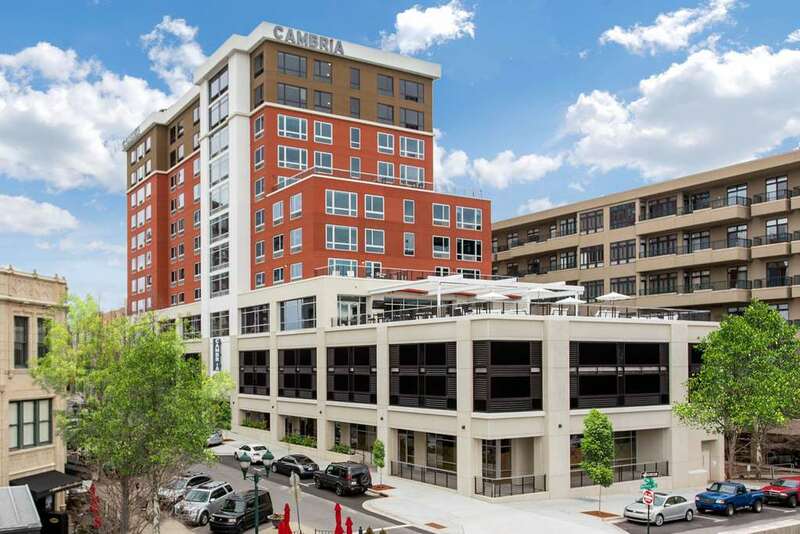 Walk to art galleries, restaurants, boutiques and more at the Cambria Hotel Downtown Asheville. Our smoke-free hotel is near the Asheville Art Museum, Basilica of St. Lawrence, Grove Arcade, the scenic Blue Ridge Parkway and more. Amenities include free WiFi, a fitness center, a business center and a full-service bar and restaurant. Guest rooms are modern and stylish with microwaves, refrigerators, flat-screen TVs, hair dryers, irons, ironing boards and more. Meeting and event space is also available. Plus, you can earn rewards with every stay with our Choice Privileges Rewards program.